Jess Lourey writes about secrets. 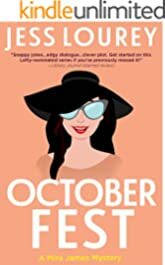 She is the bestselling Lefty, Agatha, and Anthony-nominated author of the critically-acclaimed Mira James mysteries, which have earned multiple starred reviews from Library Journal and Booklist, the latter calling her writing "a splendid mix of humor and suspense." 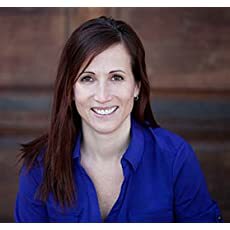 Jess also writes nonfiction, edge-of-your-seat YA adventure, magical realism, and feminist thrillers. 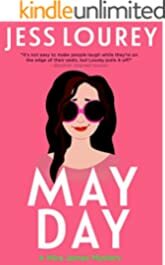 Also, May Day is a free BookFunnel download with a newsletter sign-up: https://dl.bookfunnel.com/dio6scd2ar. Diamonds, dives, and dead bodies...oh my? Chosen as a Killer Book by the Independent Mystery Booksellers Association! What's so wrong with admiring from a distance? After all, Mira's quirky attraction to Chief Wenonga, a well-muscled fiberglass statue, might be a safer love pursuit than online dating. But when the 23-foot Chief goes missing and a human scalp is discovered at his cement base, Mira's not the only Battle Lake citizen to be crushed. 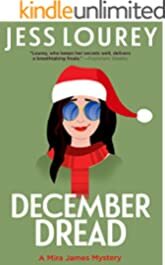 Things get impossibly worse when her second-biggest-hunk, organic gardening god Johnny Leeson, disappears and the police think she's involved. 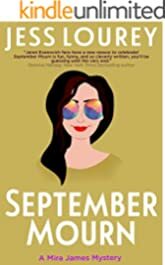 With her luck with men running out and the cops closing in, Mira has no choice but to roll up her sleeves and start investigating. But is she trailing a statue-thief, a kidnapper, or a cold-blooded killer? 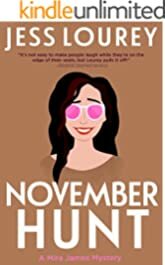 Furious after being stood up by local hottie Johnny Leeson, Mira decides to abandon Battle Lake, Minnesota, where the women are churchgoers, the men like to hunt, and the body count is above average. 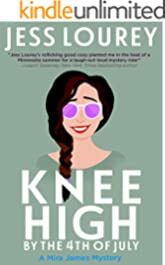 But when a cheerleader bites the dust, Mira is called back to the town that has done her wrong. She begins investigating the New Millennium Bible Camp, a disturbing place with a Stepford Wives-meets-Hee-Hawvibe. She wants desperately to ditch Battle Lake, but before she does, Mira is hell-bent on confronting her own demons to catch a killer. 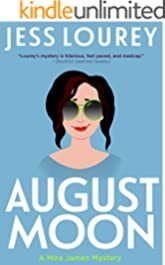 August Moon is a laugh-out-loud romantic comic caper, perfect for readers who love to escape into the humorous mysteries of Gina LaManna, Liliana Hart, Chelsea Field, Janet Evanovich, Denise Grover Swank, and Stephanie Bond. If you love to laugh while reading a page-turning mystery, this series is for you! The Minnesota State Fair is the beloved home of 4H exhibits, Midway rides,and everything on a stick. The festival fun is riding high until the recently crowned Milkfed Mary, Queen of the Dairy, a Battle Lake native, is brutally murdered while her regal likeness is carved in butter. 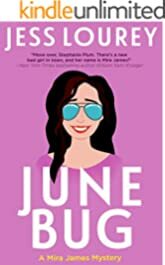 Can Mira James, covering the fair for the Battle Lake Recall, manage make-out time with guitar-slinging Johnny Leeson while winning a blue ribbon for caging a killer? You bet your last deep-fried Nut Goodie! Beer and polka music reign supreme at October Fest, Battle Lake's premier fall festival. To kick off the celebrations, the town hosts a public debate between the two congressional candidates: straight-laced Arnold Swydecker, and slippery incumbent, Sarah Glokkmann. As a reporter for the Battle Lake Recall, Mira James is roped into writing up the word war. But the festive mood sours when a well-known Glokkmann-bashing blogger is found dead...and the congress woman herself meets a gruesome fate. To keep the heat off her best friend's fiancé―an ex-con reporter―Mira wades through the candidates' dirty laundry, their unsavory secrets, and some murderous mudslinging to expose the killer. 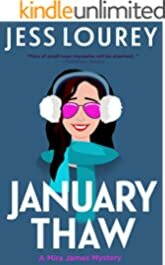 January Thaw is a laugh-out-loud romantic comic caper, perfect for readers who enjoy the humorous mysteries of Liliana Hart, Chelsea Field, Gina LaManna, Janet Evanovich, Denise Grover Swank, Amy Vansant, and Stephanie Bond! 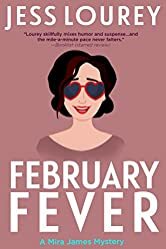 If you love to laugh while reading a page-turning mystery, this book is for you! WARNING: This book has all the feels: laughter and suspense, but also tears. After a few glasses of champagne and Mrs. Berns' encouragement, Mira begins to relax and enjoy herself . . . until a fellow passenger is murdered and a snowstorm traps the train in the Rockies. If Mira can't track down the killer, she may end up derailed--permanently.